If you’re like most writers, the importance of an outline has been drilled into you since elementary school. Everyone knows you aren’t supposed to start writing without one, or else the focus of the article could get derailed. And everyone knows that once you have an outline, you’re supposed to stick with it. But what not everyone knows is that sometimes, rules can and should be broken. If you’re writing for a client, all that matters is that the final product meets the client’s specifications and expectations. The way in which you get to that final product is more flexible than you might think—and this is great news for writers who struggle with writer’s block or procrastination. Rule 1: Always write the outline first. The first rule of outlines is that you need to develop one before you can do any writing. After all, how can you start writing without knowing what you should write? In many cases, you should definitely follow this rule. But what about when you’re stuck with a load of disorganized research and you’re having trouble sorting the facts into logical subheads? If subheads are elusive, then by all means, break this rule. Instead, write the introduction first. The intro will clearly define the main focus of the article. And once you have a firmer grasp on the main focus, it’ll be easier to figure out your subheads. Rule 2: Always stick to your outline. Once you’ve developed a good outline, you should always stick with it… right? Not necessarily. As you write the piece, you may discover that one or two subheads no longer fit with your writing. You may need to rework them a bit or get rid of them entirely and develop new subheads. It’s far better to have an article that flows well, transitions seamlessly, and is pleasant to read than to have an article that is disjointed just for the sake of sticking to the outline. Note that if your client has told you that specific subheads absolutely must be in your writing, then you can’t break this rule. Rule 3: Always use parallel construction across your subheads. Are there any contraindications for flu shots? Parallel construction is a logical way to organize an outline. And in most cases, you shouldn’t break this rule. The exception is when you’re writing an exceptionally long “skyscraper” article or an eBook. The volume of information in these longer projects is so large that your subheads might not make sense if you try to make them follow the same format. Here, logic wins out over style—go ahead and break the rule. 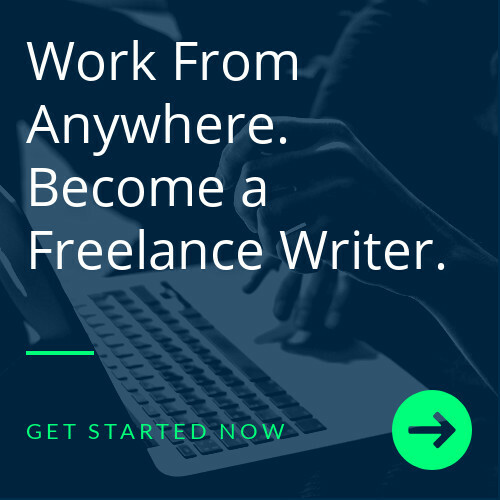 From helping you find that first freelance client to connecting you to professional development opportunities, Writers Work is here to support your success. Find out how you can become a member of the Writers Work community today!